Long Island’s (New York) Hempstead Plains is the only naturally occurring prairie east of the Allegheny Mountains. 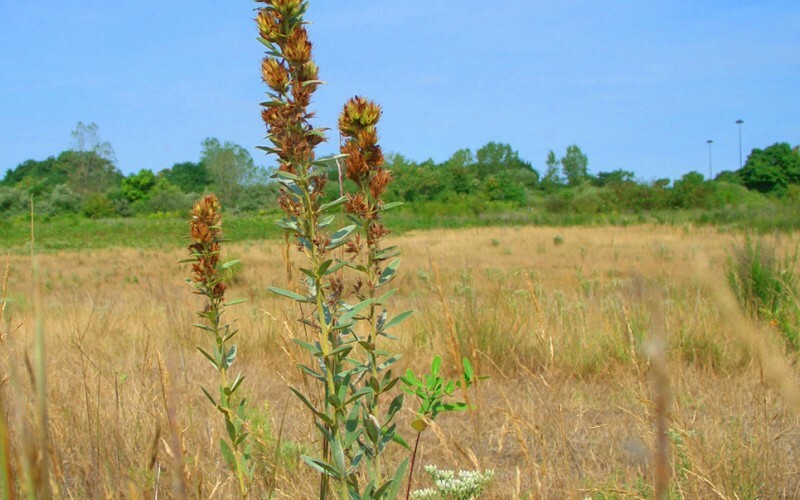 Once covering almost 40,000 acres, this endemic East Coast grassland has been reduced to a mere 60 disparate acres due to the pressures of urbanization. 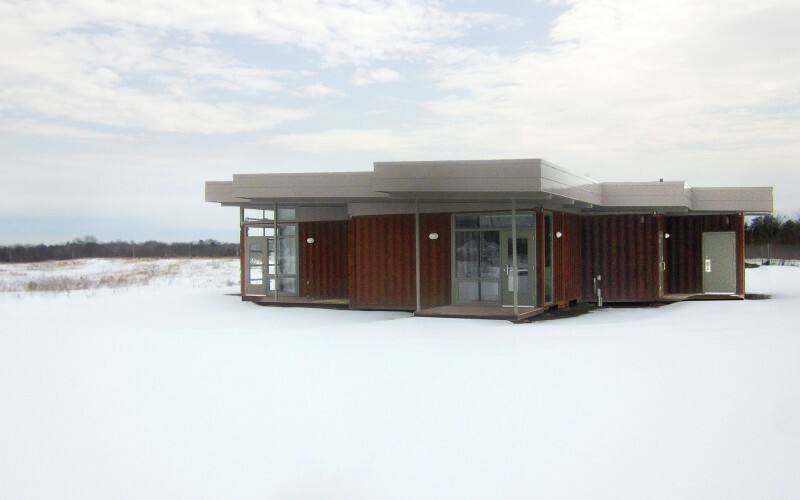 The Hempstead Plains Interpretive Center (HPIC), situated on one of the existing Plains parcels, is the culmination of a dream of dedicated educators, biologists, researchers, artists, and nature lovers. The design and development of HPIC – a low-impact building with site work – in a heavily developed suburban area, secures the integrity of the parcel as a natural preserve and historic landmark. 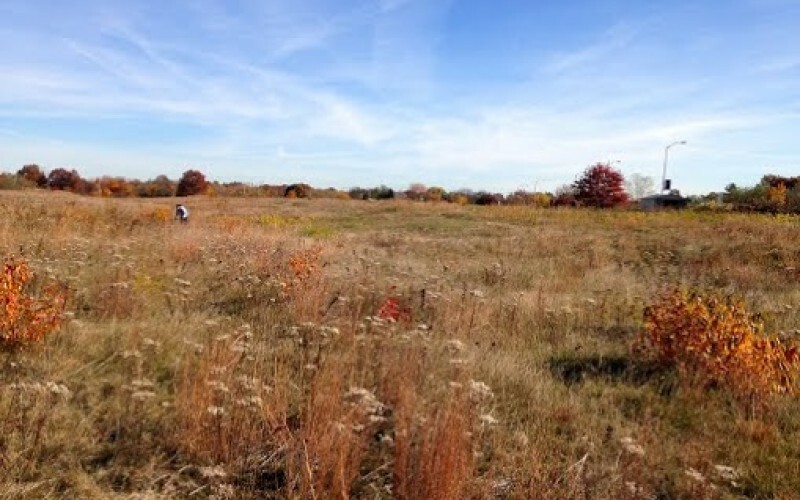 In addition, the Plains are located on the Nassau Community College campus and near several universities; the students and professors can use HPIC as a learning lab for both native prairie habitats as well as sustainable techniques. An entrance through native plantings leads to the new visitor’s center with a green roof structure; open and closed classrooms are used for classes and workshops. Handicapped accessible and stabilized soil trails lead to the natural paths located in the native prairie. A compost toilet and cistern reduce the need for potable water. Solar energy provides power and the building is completely “off the grid”. As the Center encourages visitors to immerse themselves in the natural environment and experience prairie life first-hand, the Plains volunteers are better equipped to increase their educational, environmental and community-based programs.